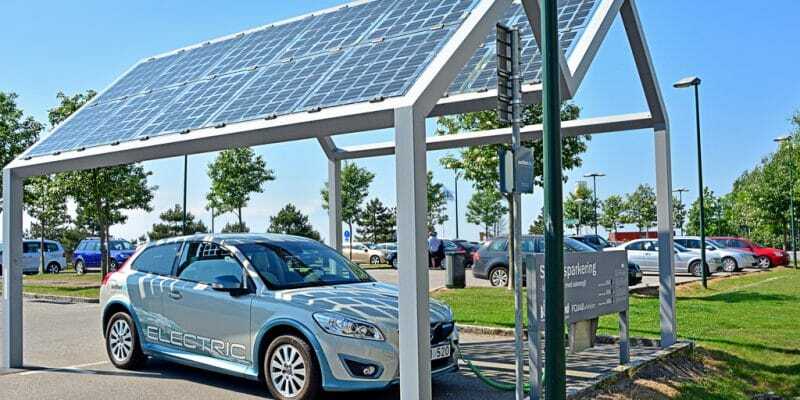 The Moroccan Institute for Research in Solar Energy and New Energies (dubbed IRESEN in French) is planning to install a shade in the city of Rabat to recharge electric vehicles with solar energy. The electric car market is gradually developing in Morocco. Manufacturers are already present like Renault’s Zoe range. The market could develop further if the Darshal project is successful in Egypt. The company recently signed a partnership with the Chinese companies Dongfeng Motor Corporation and Vasworld Power Cooporation Limited for the assembly of electric vehicles in the country of the Pharaohs. These cars could conquer the Maghreb markets, and therefore reach Morocco. In the Cherifian Kingdom, private individuals who buy an electric vehicle are faced with the difficulty of finding a charging station. Solutions are currently being tested, in particular by the French company Total, which inaugurated 15 electric vehicle charging stations in July 2018. They are located in ten Total service stations on the Tangier-Agadir motorway axis and in the cities of Agadir, Marrakech, Casablanca, Rabat and Tangier. However, the Moroccan Institute for Research in Solar Energy and New Energies (Iresen) is experimenting with a much greener solution. The solar shade will be installed in Rabat in the coming weeks or months. The idea is to experience solar recharging and to facilitate the integration of renewable energies into the urban landscape. Thus, the shade box, which has charging stations, will be powered by solar energy. It will allow the recharging of electric vehicles and mopeds. In addition, the energy produced by the shade will also be used to light the car park. The project is the result of four years of research as part of the development programme on sustainable mobility. Iresen, who is at the origin of the innovation, is involved in several projects involving the use of solar energy and energy storage. With the Caddi Ayyad University of Marrakech, the research institute is working on the development of Moroccan lithium-ion batteries using waste from the cobalt industry and on the development of solar scooters. With Hassan II University in Casablanca, research is focusing on the solar scooter containing solar freezers. The outcome of such research could relieve many agri-food companies, particularly in the delivery of fresh goods. Here, the research is supported by the Inter-Africa company, which specialises in refrigeration and air conditioning. In partnership with the French company Schneider Electric, the Moroccan Motorways (ADM) and several fuel distributors, it is building charging stations on the Tangier-Agadir motorway.